Autism spectrum disorder occurs more often in children with Down syndrome than in other children. Prevalence may be as high as 10. The dual diagnosis of autism and Down Syndrome can be extremely disabling. Children with Down syndrome, who also have the dual diagnosis of an autistic spectrum disorder, tend to receive a diagnosis at an older age than their peers. Their parents and carers may experience a long wait and considerable difficulty in obtaining the diagnosis . 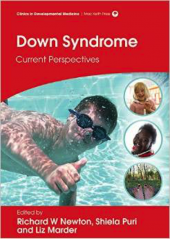 lack of awareness of the usual developmental profile of children with Down syndrome. Children may display behaviours typical of autism in infancy or as toddlers, and follow a course similar to that seen in other children. However it is not unusual for the condition to be heralded by regression of social and communication skills noted in later childhood. The possibility of Autism spectrum disorder must be considered in any preschool child with Down syndrome who is failing to make expected progress in speech and language, social communication and social interaction skills, and in any older child who shows regression of these skills. Diagnosis is critically important because when the two conditions coexist autistic disorder takes precedence in terms of educational and management needs. Materials from this meeting are available for members only who need to log in to access them. For details on how to become a member click here.